FHI 360 is a nonprofit human development organization dedicated to improving lives in lasting ways by advancing integrated, locally driven solutions. Our staff include experts in Health, Education, Nutrition, Environment, Economic Development, Civil Society, Gender, Youth, Research and Technology; creating a unique mix of capabilities to address today's interrelated development challenges. 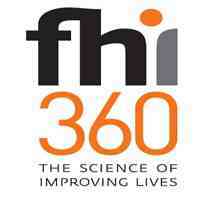 FHI 360 serves more than 60 countries. Currently, we are seeking suitably qualified candidates to fill in Database Manager- USAID Boresha Afya - Southern Zone Position for USAID Boresha Afya Southern Zone Project. The purpose of the project is to support Government of Tanzania (GoT) efforts to increase access to high quality, comprehensive and integrated health services, especially for women and youth, with focus on HIV, TB, maternal, neonatal, child and reproductive health and nutrition outcomes. In close collaboration with ICT department and m-Community of practice develop/strengthen a DHIS2 data collection application for CTC2, PMTCT, TB, FP and HIV-HBC with built-in data validation checks and offline mode capabilities, for health care workers and data clerks at facilities, enabling them to quickly populate and submit accurate health information based on the Mtuha registers ▪In collaboration with regional teams, developing, implementing and monitoring supportive supervision and QI initiatives for improved data management. Ability to travel to implementation districts a minimum of 50%. FHI 360 has a competitive compensation package. For detailed information, interested candidates may either submit their application Curriculum Vitae (CV)/Resume, Photocopies of Certificates and Names and Addresses of three (3) referees to E mail: tz_recruitment@fhi360.org or please apply on line. FHI 360 is an Equal Opportunity Employer. Closing Date: January 30, 2019 Only short listed candidates will be contacted. FHI 360 is currently recruiting for the position of Country Coordinator for an anticipated project, East Africa Building Resilience in Civil Society (BRICS) Phase II. BRICS II will implement a holistic approach to promoting community resilience including working with national and subnational authorities to improve their ability to prevent violent conflict, working with and in at-risk communities, conducting research to inform interventions and facilitate dialogues among stakeholders. It is anticipated that this program will focus primarily on Kenya, with a secondary focus on Tanzania and Mozambique and a third line of effort in Uganda and Ethiopia. The Country Coordinator will report to a Nairobi-based Project Director and will oversee project activities in Tanzania and share necessary information and lessons learned from country activities with other project offices in the region. The position is contingent on funding. • Maintains regular communication with FHI 360 project staff in DC and other field offices. • Ensures that solid relationships are built and maintained between and among FHI 360, UK donors, local government and civil society stakeholders, and other involved stakeholders. • Contributes to program performance reports and biweekly updates. • Manages development of and monitors work plans and budgets and ensures appropriate levels of technical assistance in program operations. • Coordinates partner efforts in activity implementation across country. • Ideally, the candidate will also have worked on UK funded programs or other donor programs. Tanzanian and other East African nationals are strongly encouraged to apply. Availability of position is contingent upon award to FHI 360. Selection of final applicant is subject to donor approval.